No doubt emergency rooms serve a vital purpose. But they should be reserved for emergencies only. 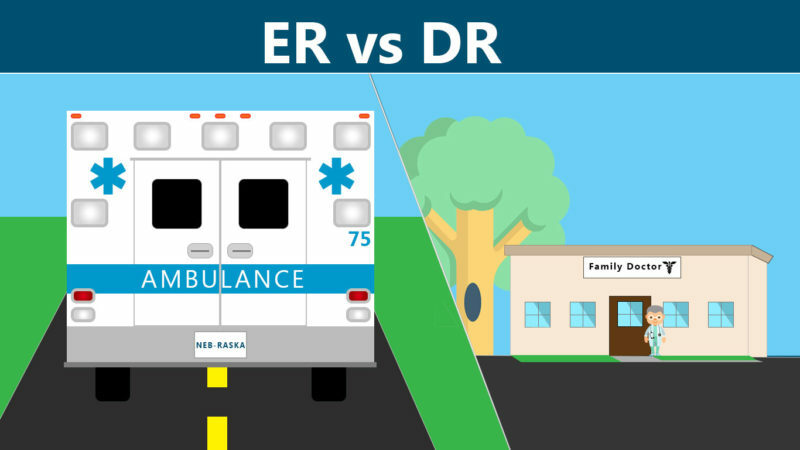 Too often ER doctors see conditions that can wait for care at a walk-in clinic or doctor’s office. 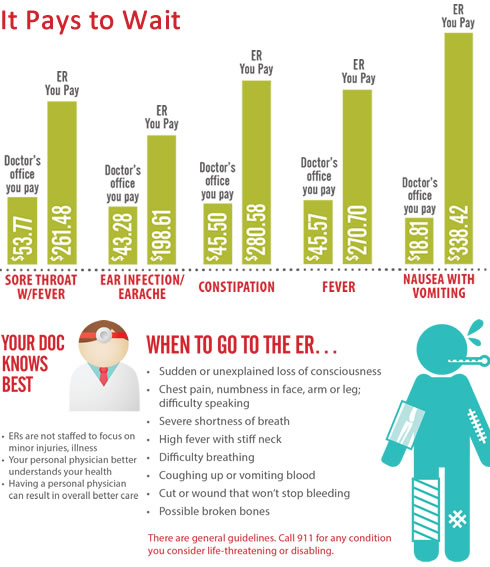 Knowing when and when not to go to the ER can save everyone money and result in better care. Talk to your doctor. Find out if he or she has extended hours, and ask for recommendations for an ER alternative located near you. Planning ahead before you need care and deciding where to go can save you time and money.